Room H at the Davis Conference Center will be available for anyone to rent for $100 per hour. You may use the room to share a video, speak, sell, or to conduct a question and answer session. 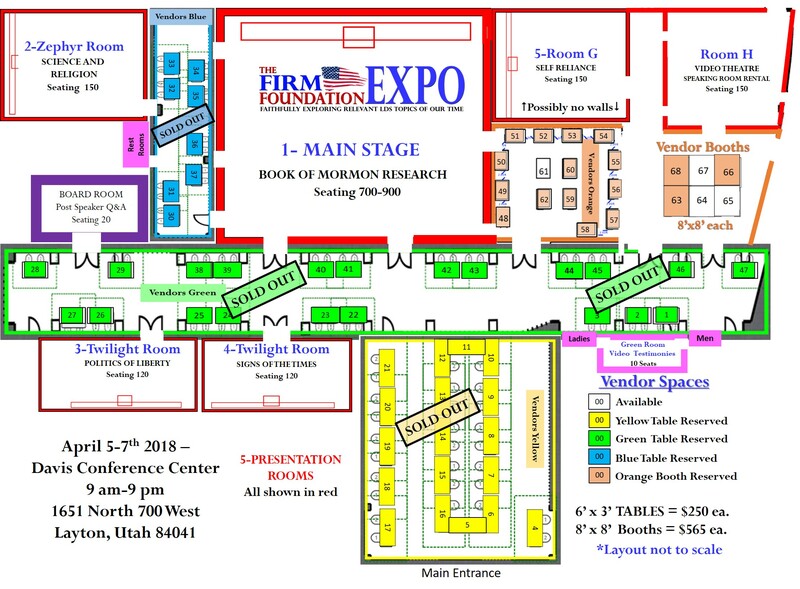 Room H is labeled on the diagram below as “VIDEO THEATER- SPEAKING ROOM RENTAL” and the seating in the room is for 150 people. (See Map Below). If you want to purchase up to 2 additional one-hour times, the cost is as follows. This is an option if you don’t purchase a vendor table and would like to speak at our conference. This room is scheduled at the same times that the main stage and all other rooms, from 9 am to 9 pm Thurs Fri and Sat April 5-7, 2018. Please send me an email at riannelson@aol.com, with the time you would desire from the available list below. Understand the time you desire may not be available so please email me as soon as you know. To reserve your time slot(s), click the button below titled, Speaking Room Rental. Payment does not guarantee you the time slot you want, until you email me to confirm. riannelson@aol.com Thanks. Below is the Davis Centers diagram which is drawn to scale. 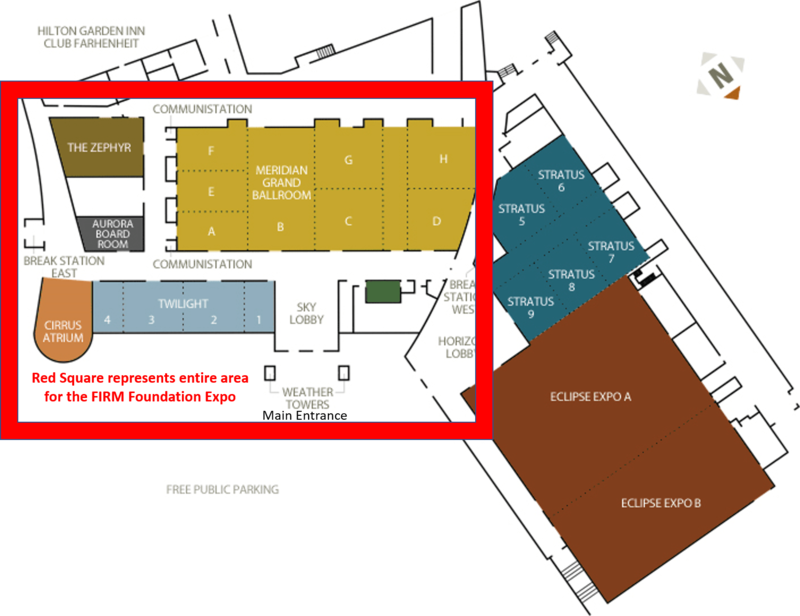 FIRM Foundation will be occupying the large section with a red box around it.